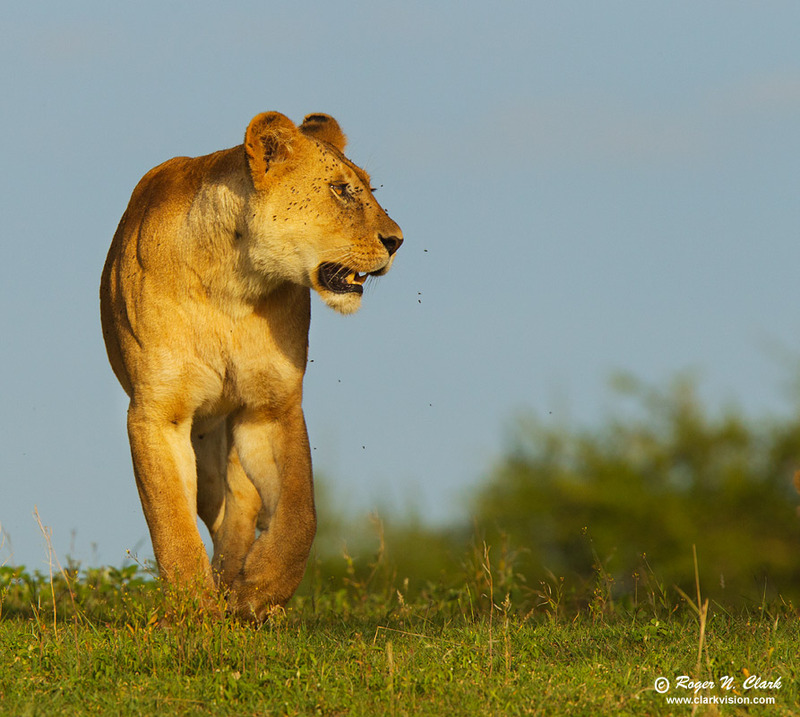 A lioness prowls the Serengeti early one morning. Technical. Canon EOS-1D Mark IV 16 megapixel camera, 300 mm f/2.8 L IS lens + 1.4x TC = 420 mm. Exposure: 1/2000 second at f/6.3, ISO 400. I couldn't get much lower!